With just weeks to the release to his highly anticipated FLAWD album, Brooklyn R&B artist Adrian Daniel is gaining ground with his recent offering from the project, "Deadly Attraction". The track, which caught support from Clash, i-D, Hunger, Global Grind, and more, has been hailed as A statically addictive production with pop and alt-R&B elements, which finds Daniel stretching and bending his falsetto in melodic ecstasy [ThisIsRnB]. 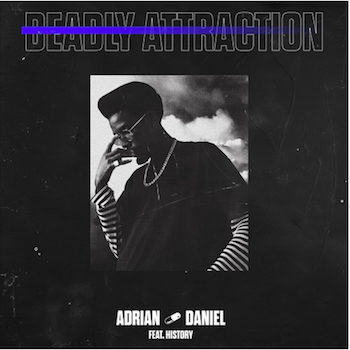 Adrian has expanded upon that with his remix for Deadly Attraction, featuring a guest verse from Bed Stuy Mogul Club rapper History.